Raimondi, for over 25 years has been producing furniture made to measure in classical and modern style or designed and developed to satisfy personal requirements. 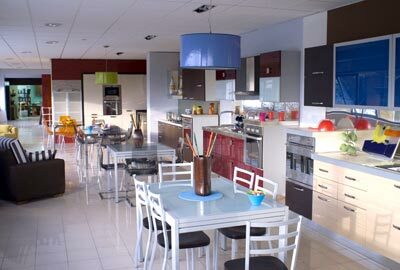 Manufacturer of kitchens and kitchen furniture for interior furnishings Caltanissetta (CL) – Sicilia. A philosophy focused on personalization, which offers quality know-how serving functionally and design in any context from domestic, with years of experience in classical and modern kitchens, children’s bedrooms, to commercial constructions, with some very important references in many different sectors. This success has brought us to doubling the company surface and also the production capacity where the most modern technologically advanced machinery and equipment interact perfectly with expert crafting skills. a show room divided on 3 floors in San Cataldo (CL). 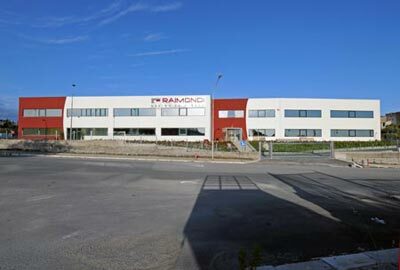 Carmelo Raimondi in 1982 active in the field, transformed in 1993 into the company called Raimondi snc. The company, which now states in the design and manufacture of kitchen and furniture, initially covers the provincial market and then expand on a regional level and in the year 2002 under the name Sistemi Componibili. Since then the trend has not stopped and the company has registered a continuous growth in all areas: in the sales, production – suggesting new items and keeping up to date with market trends – in the image, gradually become more prestigious using modern technology. View from seat RAIMONDI Cucine – Sale kitchens and custom furniture Caltanissetta – Sicilia. Philosophy – one of dynamism and innovation – which has led the company to stand out for reliability and professionalism, achieving, in 1993, the D & B Rating 1, the highest reliability index determined by Dun & Bradstreet, the worldwide leader of multinational ‘ commercial information. Design – Elements modular projects made to measure. Qualified technical personnel and materials are the two essential components to create targeted projects designed with efficiency and design in order to give value to every context. Versatility, flexibility and expertise are integrated to give rise to infinite solutions designed to optimize every type of environment. Modular elements, the individual pieces and thus have many accessories to be part of projects designed for a perfect organization of space in order to obtain the best operating conditions in the workplace, and for a nice living in the home. From the establishment: Raimondi following each phase of work with care and professionalism. This has led the company to excel in satisfying the needs of different reality thanks to a design service tailored to a large scale and designed for those who want to build their own success criteria through furnishing a rational and impacting. Furniture made to measure is extremely versatile in form, material and color, able to appeal and functionality to every kind of business, to ensure each as a custom. Many references that can attest to the reliability corporate travel agencies, jewelers, book shop, auditorium, shops, museums, hotels, and franchising community. Show room modular furniture Sistemi Componibili s.r.l. 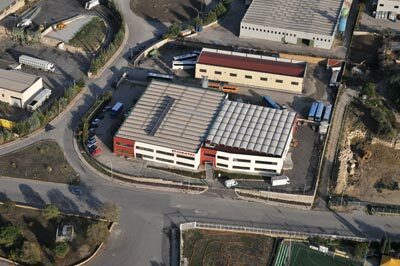 Caltanissetta (CL) – Sicily ~ Manufacturer of kitchen furniture and furnishings Interior. With the desire to satisfy its customers in every detail, Sistemi componibili srl has created a show room, a technical room for the display of the best brands of appliances and kitchen accessories. This way everyone will be able to assess firsthand the accessories that best meet their needs and choose, always supported by the advice of company specialized staff. A service that shows a special attention to the full satisfaction of the customer, in order to submit projects always cared and really meet the individual desires.